This article originally appeared on SamSpurlin.com in July 2011. As I continue transitioning to my new home here at TheWorkologist.com, I'm resurfacing some older articles that you may have missed from before. Enjoy! I recently read an excellent book by one of my professors at CGU, and arguably the most famous faculty member, Mihaly Csikszentmihalyi. Most people know him as the "flow guy." His work on flow, that state of optimal experience we feel when completely engaged in an activity, is some of the most important work that has been done in the field of positive psychology. While he's most well-known for Flow: The Psychology of Optimal Experience, he has written several other books as well that explore topics and issues beyond optimal experience. I'd like to take a few minutes to explore an idea in his book Creativity: Flow and the Psychology of Discovery and Invention. Domain Mastery as a Prerequisite for Creativity? The idea that I want to explore and emphasize is that creativity requires mastery of a domain first. 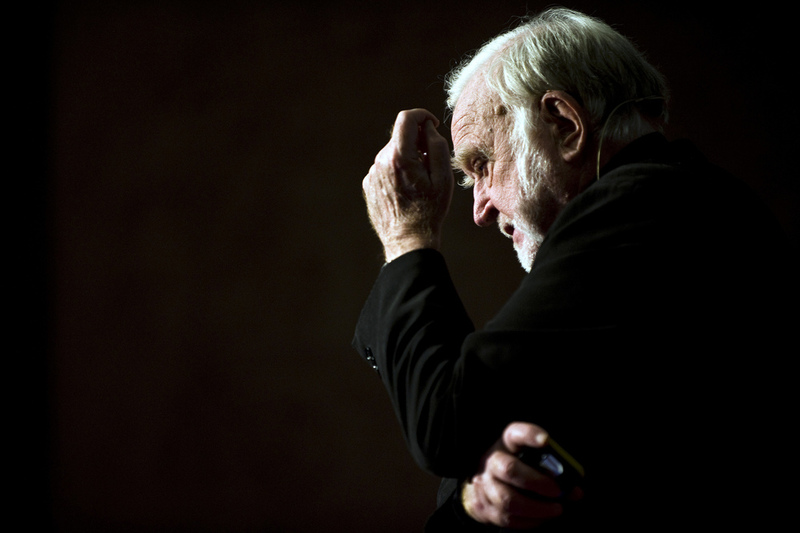 Csikszentmihalyi argues that truly creative work requires the internalization and mastery of the "rules" of a domain. This is an interesting point because most of the time when we think about someone being creative, we think about breaking the restrictions of tradition and doing something completely new. Csikszentmihalyi argues that most notable creative figures, regardless of field, were first experts in that field. Einstein didn't bust out his theory of relativity out of nowhere. Mozart didn't pop out of his mother's womb with a conductor's baton in his hand. These men, as well as any other famous creative you can likely think of, first mastered the precepts of their field before irrevocably changing their field with their discoveries and innovations. What does that mean for you and me? It means we need to bear down and get to work. Most of us want to leave a legacy that will persist beyond our deaths. To do that, we have to do something memorable, something creative. It can be incredibly tempting to think that it's possible to skip the stage where you become an expert in your field and move right into the earth shattering creativity. It's not that easy, unfortunately. I agree that it's important to be "well-versed" in our fields of expertise before being truly creative, but I wonder if Csikszentmihalyi has overstated the importance of this aspect? I'm worried that mastering a domain, something that arguably takes years of work (10,000 hours if you believe Malcolm Gladwell) is too prohibitive. If you can't do anything truly creative until you're a master at your craft, and mastering a craft takes 10,000 hours, then why even try? It's a potentially debilitating mindset that could do more harm than good. On the other hand, in order to break the rules in a truly creative and groundbreaking way, you need to know those rules inside and out. Personally, I find Csikszentmihalyi's point of view liberating. I don't have to concentrate on coming up with a truly creative idea right now. Instead, I can focus on becoming as much of an expert as possible in my chosen field. The more I practice and develop my skills, the more likely I'll be able to create a piece of truly lasting and creative work in the future. True creativity is combining seemingly unrelated ideas and domains into something brand new. Mastery of your field allows you to see those connections much more easily and readily than if you didn't have a firm grasp on the subject. How are you going to treat this information? Do you think you can create truly creative work without mastering a field first? Or is mastery a necessary prerequisite to being creative? Share your thoughts in the comments below.